Looks like Paris and Houston traded weather this weekend! 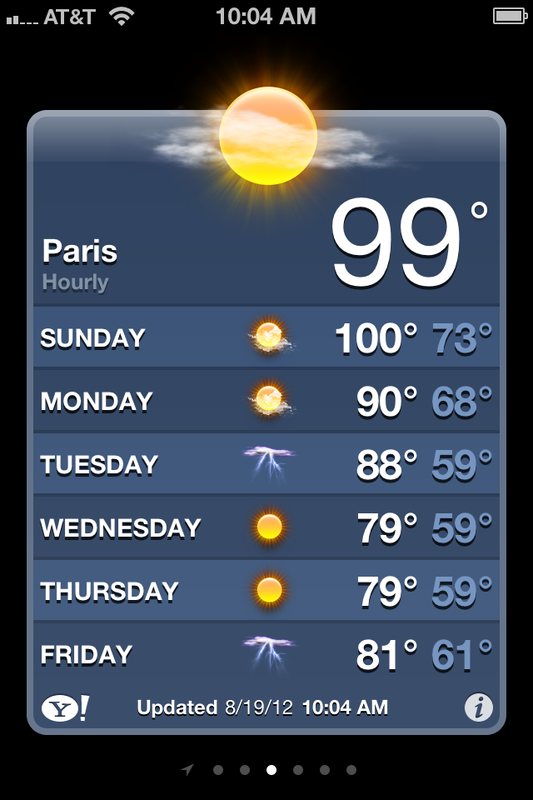 It sounds like the Parisians have NOT been enjoying their dose of Texas summer. But keep in mind that air conditioning is a rare thing in Paris, in apartments as well as in commercial buildings. Restaurants, banks, post offices, shops- they all get really stuffy and hot when the temperature rises. Fortunately for Parisians, the heat is not expected to last long. 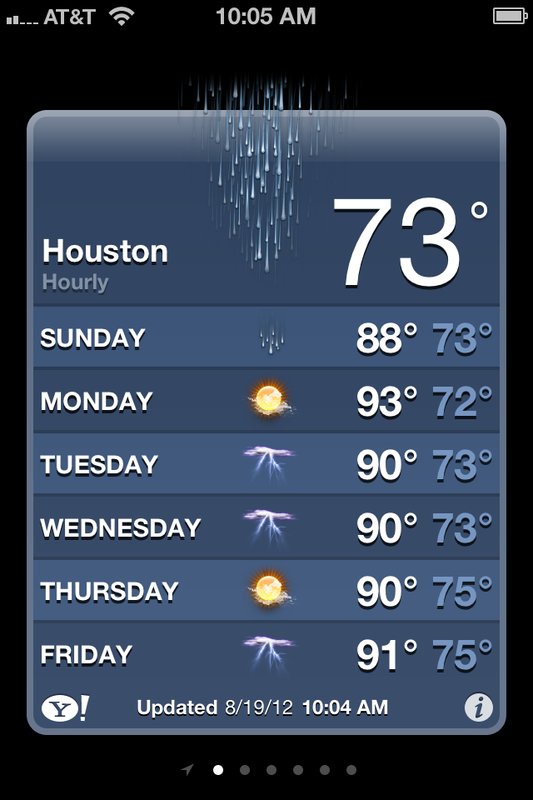 Sadly for Houstonians, the heat isn’t going anywhere any time soon! But today, I am glad I’m in air-conditioned Houston. Yes, we have had a great summer here. Who is rebuilding your door? Do you share names? I hope we can get together for lunch before you return, will be in touch in a week or so. Susan is enjoying M, and family this weekend, have had lots of pictures of coiffures by Juliet! Oh my! We would have died…though our courtyard bottom floor apartment always stayed cool. 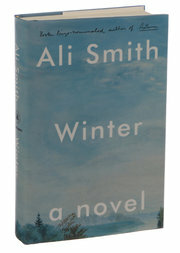 Maine is enjoying a cool spell..glad I’m here and not home in Texas or in Paris this week! Interesting to note your commentary on the Parisian temperatures as we happened to be in the Palace of Versailles on Sunday, en route from our hols in Brittany back to England. I thought it seemed a tad warm !! Lovely as it is, it was perhaps not the ideal place to spend the hottest day of our holidays. Wow. I bet that was really hot in there. And crowded. Not my cup of tea! Hope you enjoyed it.